Back to school is a few weeks away for us, but I know some of you have already started the school year! Back to school teacher gifts are a great way to let your children’s teachers know they are so loved! I was a first grade teacher before I started to stay home, and all though I believe gifts are one of my LOVE LANGUAGES:0) most teachers would say a special gift in the beginning of the school year makes them feel appreciated. 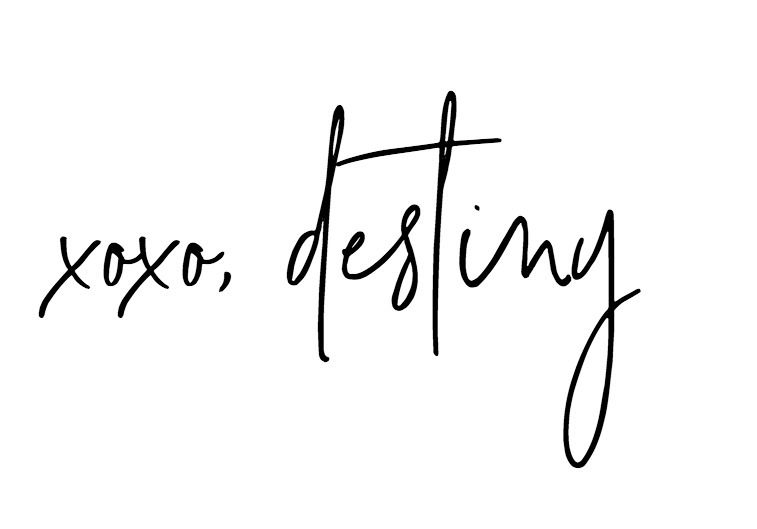 Today I’m sharing a simple gift along with a free printable for you! 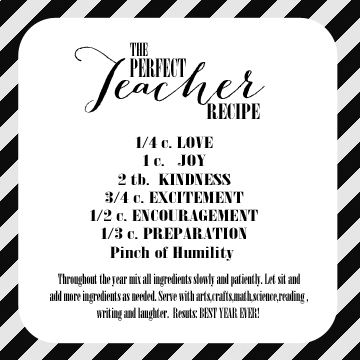 There are all types of different character traits that makes up the perfect teacher. Trust, care, love, kindness, respect, diversity, just to name a few. 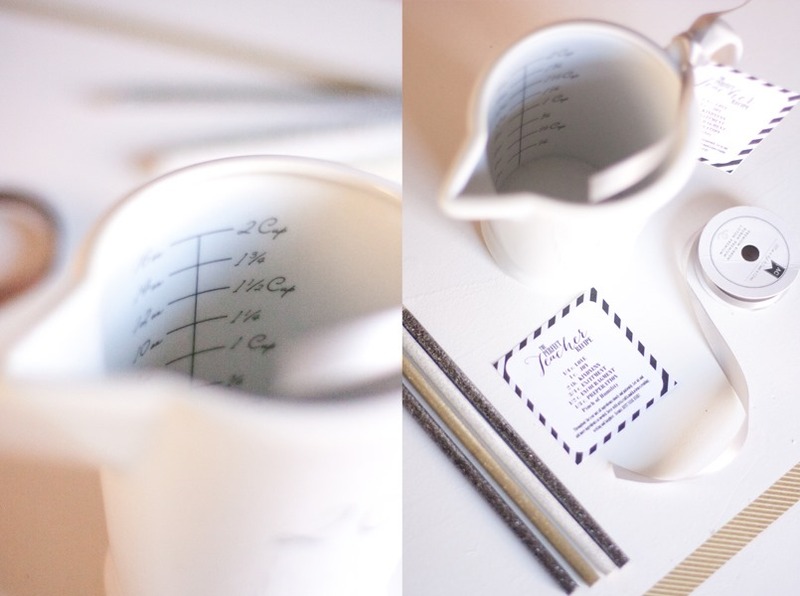 This measuring cup plus the Perfect Teacher Recipe gift tag is the perfect way to get them excited about the new year. I purchased this adorable 2 cup measuring cup at my local WORLD MARKET for $4.99 ( I know right!). 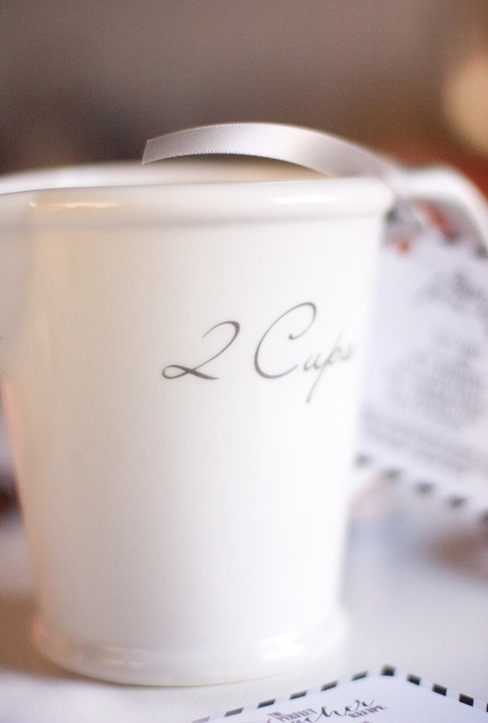 I love giving gifts that they can actually use and who doesn’t love a all white ceramic cup! 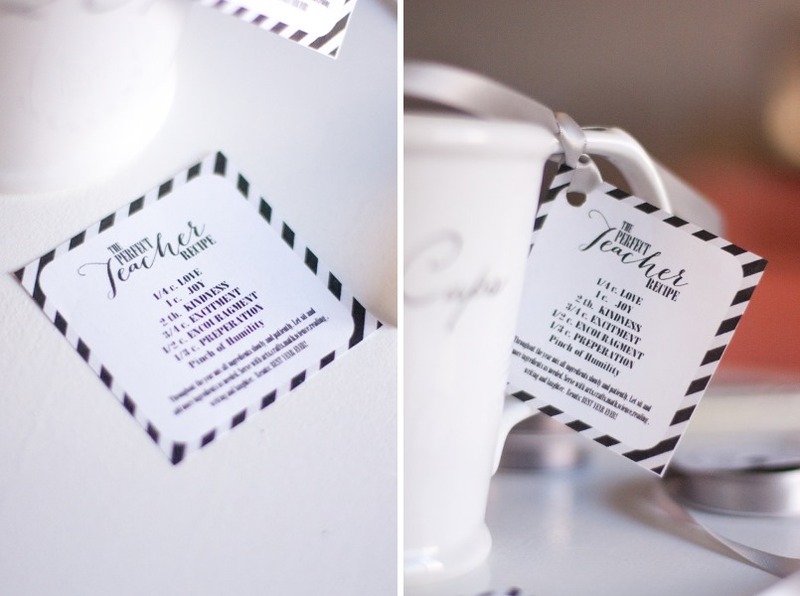 Simply print out the tags, hole punch and attach to the handle with ribbon. You can download the tags here and make your own! What do you think are the best teacher gifts? this is so sweet! can’t wait till I have littles in school to use this idea. and you’re right a little appreciation goes along way. This is so adorable! I’m sure any teacher would LOVE to receive this on the first day of school!